LOS ANGELES (April 12, 2019) — Nearly 500 supporters of the U.S. Soccer Foundation came together at the Banc of California Stadium in Los Angeles – on the pitch of Major League Soccer’s LAFC – Monday evening to commemorate the organization’s achievements of growing the game and providing youth recreation opportunities in underserved communities throughout its 25-year history. 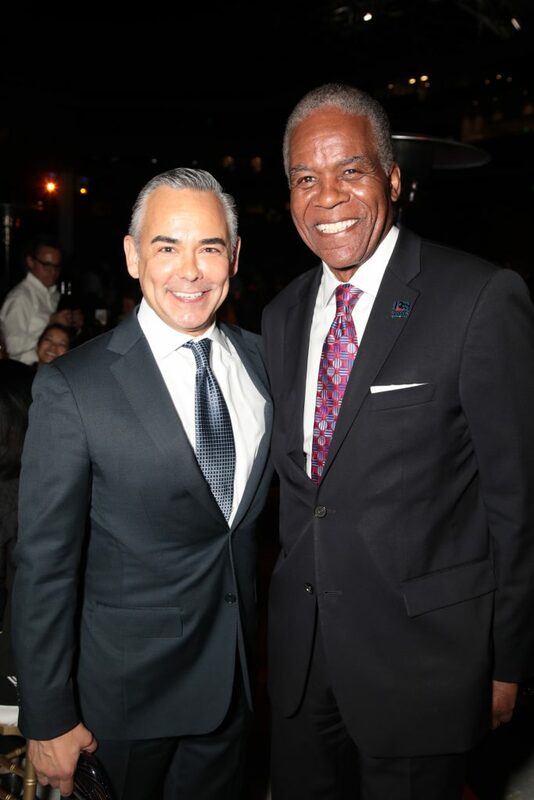 Rick Gomez, chief marketing officer for Target, left, meets U.S. Soccer Foundation President and CEO Ed Foster-Simeon at the Foundation’s 25th Anniversary celebration in Los Angeles, Monday, April 8. Target received the Foundation’s Visionary Award for leadership in corporate responsibility and community-building. Photo courtesy U.S. Soccer Foundation. The U.S. Soccer Foundation’s 25th anniversary celebration featured many of the women and men who have been a part of the organization throughout its history and supporters from the most storied soccer teams in American history, including members of the “‘99ers,” the World Cup-winning 1999 U.S. Women’s National Team. 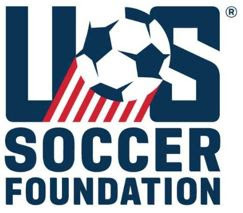 The Foundation and its supporters also used the 25tht anniversary celebration to highlight the contributions of five national leaders who are bringing soccer to underserved communities nationwide.